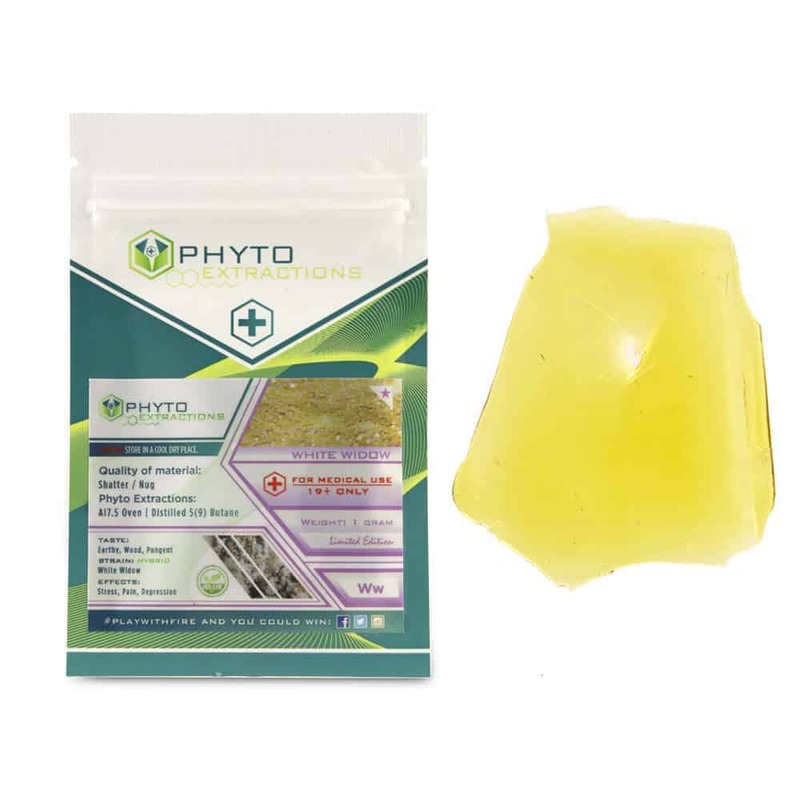 4 reviews for "Phyto – White Widow – Hybrid Shatter"
A good energetic strain with a nice taste. I really enjoyed this strain. Great high that lands behind the eyes. Taste pungent with woody hints of flavor. Solid stable shatter, dark orange in color. Stressed out?! Smoke some white widow! Great smoke for calming the mind and taking down the stress levels.